← My hunting rifle and Katyn forest. 18″ Springfield Scout Squad rifle in a Rogue bullpup stock. In the two views, you can see the “belt and suspenders and then some” approach to sighting — 4-16x scope and red dot (both Vortex) plus offset Dueck iron sights, all usable without having to remove or shift anything. The resulting rifle is a pound heavier than the similarly equipped M1A would have been but nearly a foot shorter. 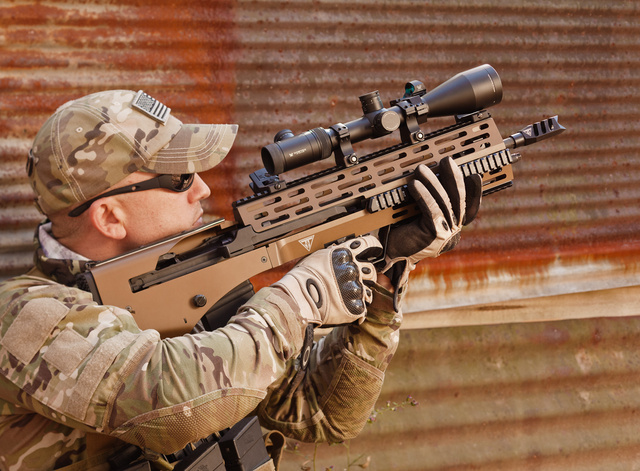 This entry was posted in rifle and tagged 308Win, bullpup, optics. Bookmark the permalink. If you want the ultimate in a very short .308 M1A package, you cant get anything better than the Juggernaut set-up. 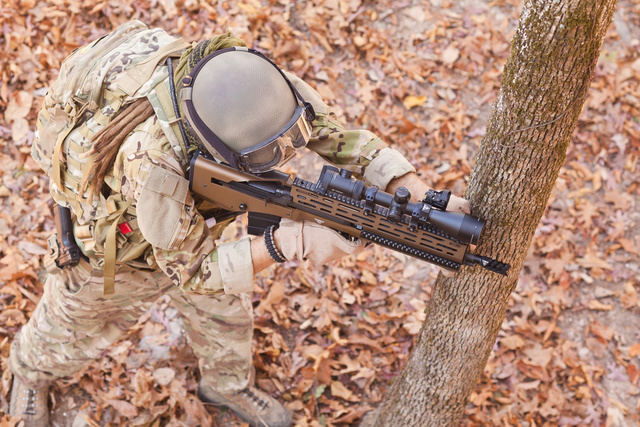 Juggernaut can fill that dual roles with the right ammo combination – and I believe it is good to go as a sniper’s rifle out to 400-500 yards with the right finger on the trigger. It can also fill the role of a CQB rilfe, when going against hard targets. The gun is very fast-handling, and you have the power of the .308 Winchester round in a very small package, that is controllable and very shootable! I personally have seen the juggernaut at OVER 1000 yards. Ridiculous groups. Good barrel, good bolt, good reciever and ammo spec’d to your rifle in a juggernaut stock = the best sniper rifle/cqb rifle created bar none.